Skelair International has announced a series of changes and updates to Marini’s main product range including the launch of the CID500 mast, a powerful new addition that will upgrade the power of the existing rigs. To simplify the identification of a machine for a specific application, Marini drills will now be categorised by four distinct ranges: MR-S, MR, MR-A and MR-C. The MR-S line focuses on Marini’s light slides which are most suitable for scaffolding and acrobatic jobs, while the regular MR line features light slides that can be installed on special tubular frames. 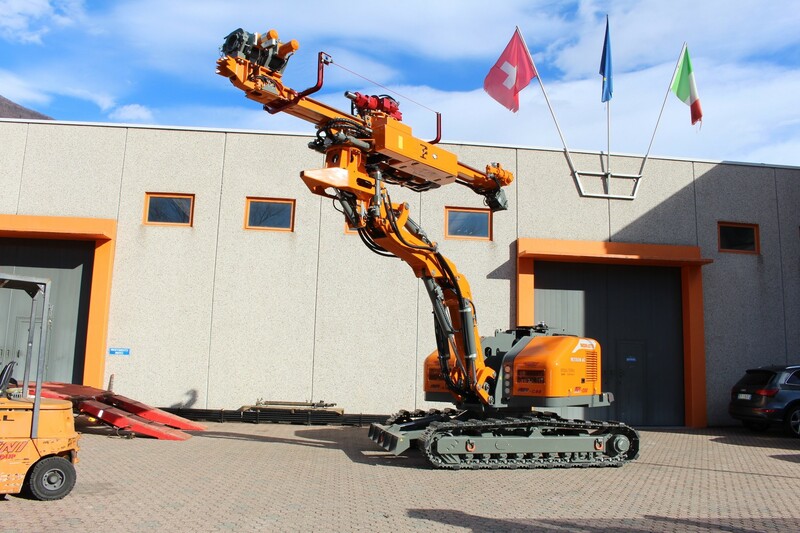 In addition to this, the MR-A line presents drilling unit attachments of various weights for excavators, with the MR-C line featuring crawler units. The CID500 mast which drills with 50% more push-pull force than before is suitable the heaviest crawler rig MR-C50, MR-C90 model as well as the MR-A 500’s excavator attachment, it is suitable for larger rotary heads and top hammers. The new MR-C30 and MR-C35 models have been added to the MR-C line, thanks to their articulated arm they could drill in any direction. Once used, the slide can be detached from MR-C 35 and installed onto an excavator; an action that can be controlled by the crawler remote control.